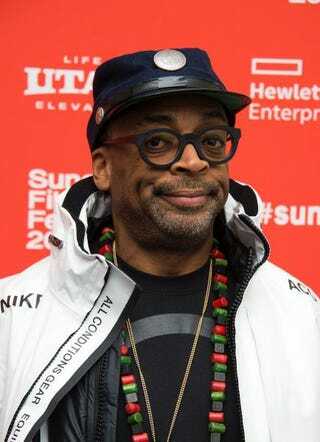 Spike Lee is a die-hard Knicks fan, and just because Cheryl Boone Isaacs, the president of the Academy of Motion Picture Arts and Sciences, has announced changes to drive diversity in its membership doesn't mean he'll be attending the Oscars after all. "We have principles," Lee told the Associated Press. "I commend the academy for what they've done. But that does not change our mind. The Knicks will be victorious—I hope. I'll be at [Madison Square] Garden." On Friday, Isaacs said that by 2020, the academy hopes to have implemented changes that include doubling its female and minority members. Currently, the majority of the academy's members are white men. So how does Lee feel about the initiative? "It's a start," Lee stated. But it's still not getting him to attend the award show. I mean, courtside seats definitely trump seeing Leonardo DiCaprio possibly break down in tears after not winning yet another Oscar.